Mix yourself a Tequila-based Christmas cocktail, put on your red velvet smoking jacket, and have a listen to Tijuana Christmas. FaLaLaLaLa promises to post a special album download on Christmas Day for even more cheer. All this too Christmas-y for you? 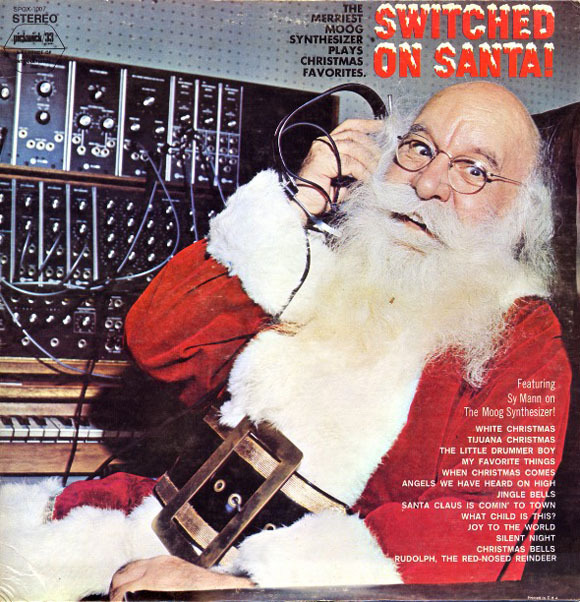 Totally unrelated to any holiday (well, unless you want to make one up for the occasion): Jean Jacques Perrey’s typically zany Baroque Hoedown. [MP3 Link] Sound familiar? Yep, that’s the music from Disney’s Electric Light Parade.